Leaders are readers. We know that. But we often forget this all important statement in the midst of the insanity of our busy lives. What are we missing by not taking the time to read? Here is a quick list of ten reasons that you should read more. It has been said that there is nothing new under the sun. When I first began working at a shelter working with women and children experiencing homelessness it would often happen that guests would come to “tell on” their roommate. When I would talk with the roommate the finger would be pointing back to the accuser. It was a struggle to figure out who to believe and how to get to the truth. I had them go away for the night and told them to come see me in the morning. I happened to be reading “Ivanhoe”. In the book Robin Hood was facing the exact same sort of situation. This wise leader of men asked the first one what sort of punishment he should give to his compatriot. He then asked the other the same question. Whatever the punishment that was recommended, Robin Hood gave to the one who came up with the punishment. I tried it and it was funny how quickly the stories changed. Like any other muscle if you don’t use it you will lose it. Things like television, excessive time in front of screens in general and other “mindless” tasks do not press your mind to work. Reading forces your mind to work. Read books that make you think. There are studies that show that consistent reading can slow down the symptoms of such things as dementia or Alzheimer. Taking time to read can make your brain work and help you to overcome some mental illnesses. This exercise just might be as important as physical exercise. We were built for action but the constant bombardment of life can wear you down. Life moves rapidly from one stressful situation to another. 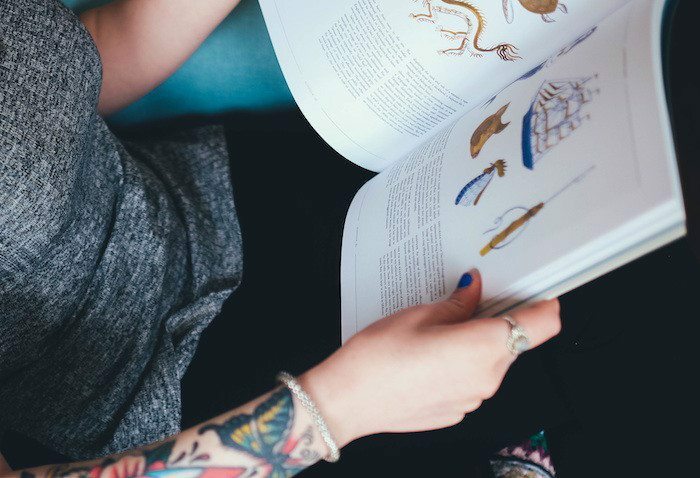 Taking time to stop and read can help your mind slow down and you will be able to help your body to relax. Sit in the tub with candles lit and soft music playing and let the world go on by while you read about people who have perfect lives with no difficulties. For a moment at least you will be able to relax and enjoy your life. There are times that you simply need to get away. When you read you can take a trip to space or swim in the ocean. You can be free for a moment of all of life’s pressures. I have discovered that in those moments I often can come up with solutions to my most pressing problems. The book actually does not give me the answers; it just helps me to separate from my problem enough to clear my mind to new options. Try it. Coming from a northern state when the Civil War was taught to me the North was the good guys and the South was evil. They had no redeeming values or character traits. Imagine my surprise when I began to read books that were written from a southern viewpoint. All of the battles had different names and many of the heroes were people that I would love to emulate. I had lost out because I had only read half of the story. Also consider hot topic issues of our day. Too many people are stuck with their own opinions and never take the opportunity to explore what the others side actually believes. When they argue their point they often go to the wrong issues because they don’t know their enemy. Interestingly often times when we do some research we may actually quit thinking of the opposition as the enemy. If you are a leader you exist to solve problems. We know that there is nothing new under the sun so it is likely that some other leader has had a problem similar to your own. This solution may come from an entirely different profession so don’t get stuck only reading your industries materials. There was an emergency room that improved its performance from studying a NASCAR pit crew. Be adventurous you never know where your inspiration may come from. Every once in awhile we simply need some inspiration in our lives. Life is not always like the movies. We don’t get to go from one adventure to the next without a taste of the mundane from time to time. Often times we are just stuck in the routine: breakfast, work, lunch, work, dinner, family time and bed. We need something in our lives that will inspire us and give us a new excitement for life. To experience an adventure with pirates or take part in a revolution on the pages of a book can be just what you need to get you up and going again. I remember reading Born to Run and being inspired to get out and see just how far I could run. I remember reading a book about Winston Churchill and decided to take up public speaking. Where will your books take you? While book clubs are not as popular as they once were, it can be a great opportunity to get folks to all read the same book and then talk about it. Often in these conversations, you will discover things about your friends that would never have come up in natural conversations. These don’t have to be formal. I have a friend that we will discuss just whatever we are reading over lunch about once a month. These are lively and fun conversations and I have learned more about how his brain works than I would have learned in any other way. Read a book with friends and then talk about it over dinner. See what comes of it. It has been said that if you read five books on any one topic that you are smarter on that topic than 95% of the world. It is cool to be a subject matter expert. Find a topic that fascinates you and dig in. It won’t be long before you are wise beyond your years. You might make some sense of history and come up with your own scientific theories. Every once in a while it feels as if life is simply letting you down and you feel kicked the guts. A good book can restore your hope in humanity or give you some unforeseen thought of encouragement. Reading stories of others who have overcome depression or done great things can help you cope with whatever your current situation is. Whatever your reason, dig in and find a good book. Your local library is the greatest of resources. Visit them today.